Turtle Beach today unveiled the all-new Recon 70, which happens to be the successor to the Turtle Beach’s Recon 50 – the #1 selling wired gaming headset in North America. Available for a MSRP of $39.95, the Recon 70 delivers high-quality game audio through 40mm over-ear speakers and features Turtle Beach’s signature high-sensitivity flip-to-mute mic. The Recon 70’s lightweight design includes a padded and adjustable headband, while synthetic leather-wrapped ear cushions provide unmatched comfort so players can focus on the match and secure that win. The Recon 70 for Nintendo Switch, with its signature red accents, is available now at www.turtlebeach.com and at participating retailers in North America. Additionally, black and white models of the Recon 70 for Xbox One and PlayStation 4 will be available in North America starting May 1, 2019, with pre-orders available now at www.turtlebeach.com. Also available on May 1, 2019 will be a midnight red version of the Recon 70 for PS4. In Europe, the Recon 70 for Xbox One and PS4 is available now at Argos in the UK, with broader availability in participating European territories set for April 1, 2019. 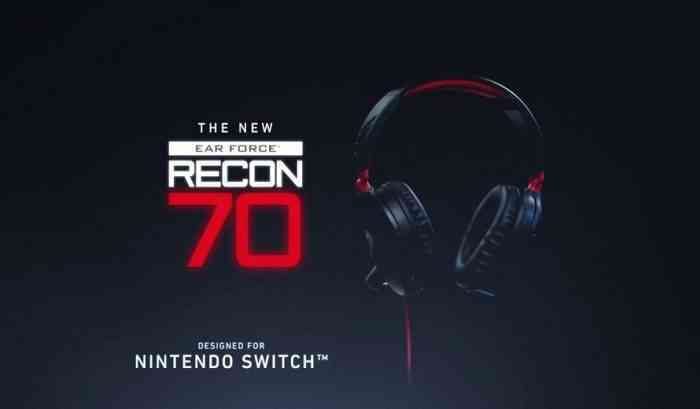 In Europe, the midnight red version of the Recon 70 will be for the Nintendo Switch and will launch at retail at the end of May 2019. Pre-orders for these models also available now on www.turtlebeach.com.